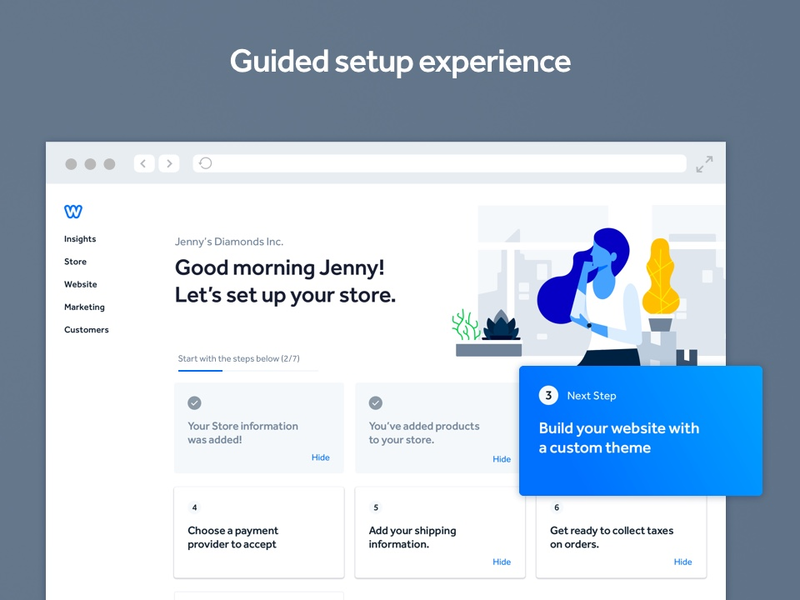 Weebly allows anyone to start and grow their own online store with curated templates, powerful features and integrated marketing. More than 50 million entrepreneurs around the world use Weebly to grow their customer base, reach a global audience and create a quality website that works well on any device. 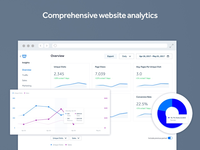 Weebly offers a range of pricing options and is consistently the highest rated website building mobile app in the App Store and Google Play. Cons: there are a few things I don't like about it; No restore option Weebly hasn't realized human beings are prone to errors, in case you make a mistake in your website and you want to go back to a previous version at a particular point, you can't do it yourself, you have to contact the Weebly team. This might be really frustrating and time consuming. This a feature that Weebly really need to correct. Limitation of drag-and -drop options You probably will face challenges in trying to customize options in your website. Unless you know how to code and use in-built HTML/CSS editor, you can't change things like background design, or column length. No Artificial Design Intelligence ADI is where you give a website builder information and he/she builds a website based on that information. Weebly has no this feature. Overall: In conclusion, Weebly is one of the best free website builder platforms in market today. It is very easy to use and the drag-and -drop platform enables you to design a beautiful website even if you have zero experience in programming. Pros: I have ZERO experience building a website and/or knowing the basics of SEO, etc. In fact, I was so intimidated by the prospect of creating a webpage that I kept postponing going into private practice. It all just felt very overwhelming. I have found Weebly incredibly easy and straightforward to use. The drag and drop features are fantastic and the general design/setup does look professional-enough for those on a budget. Cons: There is still a learning curve in using the software for anyone who does not have experience building websites. Invest a little time and play around, that's my best advice. I use the free version, which does show the "Weebly" logo pretty prominently at the bottom of the webpage, which I'm not thrilled about, but it's not enough to make me pay for the upgraded features. Overall: Overall a positive experience. I am currently migrating my website to using Wordpress, which I've found more challenging to navigate initially--but again this is due to lack of experience and understanding (and patience) of the "how to's" of much of this. I just felt that Wordpress has a bit more of a professional feel that I'm hoping to convey. For a beginning website and to get your presence out there, Weebly definitely does the job and I don't feel I have much room to complain. Pros: Weebly has been ranked as the easiest website builder recommended by most of the web consultants. 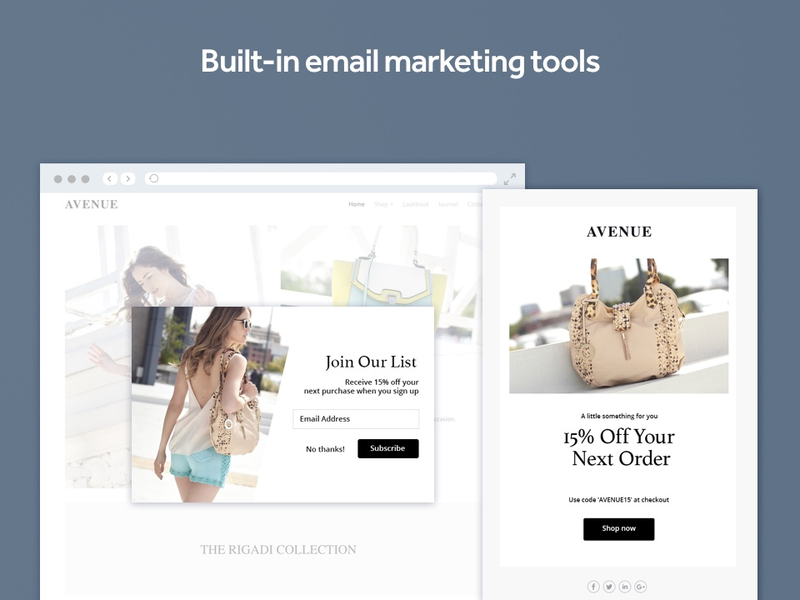 Weebly offers all basic tools that you can use for building a website or store from scratch. Weebly's collection of templates now includes a great choice of on-trend mobile-responsive designs. Unlike Wix and Shopify Plus it lets you download the full code to your website, so you can customize it or even download it. Weebly also offers over 40 pre-designed templates to help you get started. The layouts to every type of page can be found. Weebly also enables the user to add and install more apps for your use. Weebly also lets you create a fully customizable club to which you have full control. Cons: When using weebly's drag and drop customization we found it to be very limited. If you use weebly after using Wix or SquareSpace you will find it's drag and drop customization very limited. On the case releasing new features weebly has been very slow . They just upgrade two or so features in a year but now they have picked up the pace. But they are still focusing on the cutting edge technologies, rather than that they should focus on improving the friendly user. Another tiny feature that my colleague pointed out was that the blogging tools need to be improved in a very little sense but it causes a lot. The feature is that you cannot highlight or show you most recent or most popular posts first. We have sent them a message and their response time was very fast. Pros: When it comes to Weebly, what's not to love. Yes its limited, but that's not the point. The point about Weebly is that its super easy. Obviously if you need something robust, even mildly robust, Weebly isn't for you. But if all you need is an easy straight forward and affordable, Weebly is just that. When I need to create a website that is feature rich I go to Site123 or Shopify, but if all I want is to show my portfolio (and maybe make a few sales) and/or to show my ideas, to have a platform with which to communicate to the online world, its really hard to beat Weebly. Cons: My greatest regret when it comes to Weebly is that, being as restrictive as it is, when I need to create multi-lingual sites, that look avaunt-guard and cutting edge, I'm forced to look elsewhere. Being that I so like Weebly, I wish that wouldn't be the case. I wish that Weebly would provide the spectrum from super simple, fun, and easy (which it is) to highly robust (which evidently it doesn't wish to be). Overall: Of all online platforms from accounting to legal, form graphic to word processing, Weebly is my favorite platform. I believe that says a lot! Pros: I enjoy Weebly's "drop and drag" blocks to build the website. You can move things around. You can change the way they look. You can add features...the design results are truly limitless. I have used Weebly for several years in hosting a few of my websites. The customer support is terrific. I've only had to contact them a couple of times and have had very quick responses. Definitely worth the price (and their prices are VERY comparable to others out there that do not even come close to Weebly's quality)! Cons: Every now and then, I will want to try and do something of a tweak to my website, and I do not know how to make it happen. There is almost no tutorial help. The best way of finding out "how to do something on a Weebly website" is to go to YouTube or Google and put in a search. I've found that is the fastest way to make a change I'm not sure how to accomplish on my own. Overall: I have used Weebly for several years. I've had an occasion or two to contact their customer support and they have been a great help. Usually, my issue is resolved fairly quickly. I cannot recommend Weebly an higher than I already have! This is a great platform to build your website on! Pros: Creating a blog has certain challenges, especially in the part of design and exposure of the information you want to reflect. In order to achieve the quality we were looking for, we came across this incredible software, and I can't stop praising it because it really is an innovative software that has very interesting characteristics when it comes to creating a blog. Weebly has allowed our work team to create a quality blog, with innovations that we had never handled as its templates for categories are very complete and aesthetically beautiful, which facilitated the work of editing the blog, is also a very intuitive software, ideal for using the option of "autocomplete" and add elements that we had not planned. At the time we were able to upload photos and texts to our blog by simply dragging and dropping in the window where we created the blog. And the best thing about this software is that it is totally free, ideal for building any kind of blog and website in an easy way, even in our team we are evaluating the possibility of starting to create our website from this software, simply Weebly we like it a lot and we do not stop using it and recommend it to our colleagues. Cons: We see with deep concern that this software greatly complicates the possibility of migrating information to other blogs. We observe this when we collaborate with other colleagues who work in the area of culture, who ask us for content on some research carried out, or with journalists who ask for extracts from the researches and events we carry out to make their news reviews. It is very difficult to migrate this information and we have to use other methods to socialize the information we are asked to provide. Pros: It's quick, easy, and gets the job done. You're not going the build the world's greatest site with it, let's not kid ourselves. But if you just need a clean, basic website that communicates what you need to say and you don't want to waste a lot of time doing it, this is a good go-to. There are nice, modern templates, drag and drop interfaces, and they now have a third party plugin gallery. Not a lot of content yet, but maybe it will get there someday. It's got nothing on Wordpress though. It's affordably priced, although I understand their pricing is going to change to be more expensive. I've been using them for over 10 years, to run my small, personal sites; but I might have to consider changing in the next couple years. Cons: It's not terribly powerful if you don't want to get into html, and the third party support for it is pretty lacking. Lots of features you'd find on Wordpress or even other similar platforms are absent. But for the price (as it is today), it's hard to complain. Also, I have trouble getting help from their support. I've had issues with logging in and I may or may not get a response, and if I do I might have to wait a day or so. I don't know about you, but when I need to make a change to my site, I need to make a change, I can't wait around for a whole day. Fortunately, in the long time I've used Weebly, this has only happened a few times. Overall: I run some small personal websites with it. Weebly helps me with Websites and Blog Sites in a HURRY. I LOVE this product & have made many sites! Pros: I like the ease of use and flexibility of the templates to make the sites my own. I have made many FREE sites and upgraded them as needed. I have made blog sites with my own custom web URL and love working and updating when I get the chance. I have done an eCommerce site as well and it's easy to set up too. Links are very easy to add as well as FREE photos and others that you can pay a small price for. It's got everything under the hood for sure! I used to use the Apple product to make my sites, but Weebly took over for me since that time! Love the new promotion page stuff too! Lots of room for growth and updating! Thanks Weebly! Cons: When I get a bill and an email telling me about renewal, I wish I knew which page it was for since I have many sites that I operate and maintain. Hope that is in the works. Overall: This is my go to website builder for ease of use and how great the pages look. Complete flexibility when you want to make something custom. Love the links, social media tools and will be trying out some Adsense and other money making SEO stuff! Thanks Weebly! Love Weebly for Easy Website Building! Pros: Ease of use. Modern designs. Great Value. Cons: Wouldn't mind better event registration capabilities and event calendar options - but I have found other software that fills in the gaps and Weebly allows links to outside pages - so it works! Overall: I've been struggling with my organization for years to get a website that looks great and is affordable. After 3 professional attempts at sites, we switched to Weebly. After watching about an hour of tutorial videos, I was able to build our own site quickly and easily. Best of all, it looks really good - especially for what we pay! You don't have to know HTML or have a lot of expertise to have a sharp looking, affordable website. I love that we can maintain it ourselves - no delay in waiting for busy designers to update our content. The online commerce features work really well. Also love the contact forms. It's doesn't have fancy form builders for complex event registration - but I haven't tried all their apps - they add more regularly. They also just rolled out updated features in Weebly 4 that I'm looking forward to implementing. I have built 5 sites now with Weebly - all different levels of subscriptions - and I've been pleased with all of them. I have also referred a couple of business associates to Weebly. A great option for those needing basic websites with e-commerce and many other features without the hefty price tag. I highly recommend! Recommendations to other buyers: Watch the tutorial videos! They are very helpful. Been 3 years and I still love them! Pros: I've always had fantastic customer service from them. They make sure we get weekly updates if new and improved features and definitely try help us create the best website possible. I love the fact that it's a DIY drag-and-drop type of website creation with fantastic templates to choose from, but you do have the added option of editing the 'code' to customise it even more. The prices are phenomenal for what they offer, and even though I've been using Weebly for 3 years I'm STILL learning new ways to make my website look stunning and 100% branded. I'm a Weebly fan, hands down. Overall: An affordable option for someone living off a third world currency, this has been fantastic. My site is stunning and I've had so many compliments on it. It's easy to use, easy to learn, easy to edit. Sometimes, the drag-and-drop system is a little fidgety and can be slightly difficult to get an element exactly where you want it. Overall: I was hired into my position with little to no website-building experience. And a website was suddenly very much necessary. After some searching around, I decided to use Weebly and have not regretted that decision in the slightest. They're super affordable for the wealth of features available AND how crazy easy it was to get my website up and running and published on the web for our customer base. Not only that but also our website looks like a professional did it! 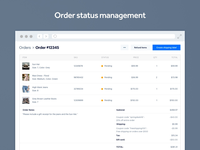 Little animations and picture slideshows highlight our best products and services available, menus are quick and easy to build, and there are so many other widgets that we could use, but haven't yet! I cannot recommend Weebly enough. Pros: I love the ease of use to not only build my own websites, but to also help clients learn to maintain their websites. On my personal account, I love the free apps and widgets available to put on my website and make it look more professional. Cons: Apps are only available for my personal account, but not through my designer platform, which is an issue that requires me to turn away many clients or point them to one of my friends who does work with wordpress sites. Also there should be a way to host through other services such as godaddy and hostgator rather than just through weebly. Overall: I have used weebly for clients for 8 years and have been using it personally for the last 15 years. For the most part they can be a great solution for ministries and small businesses as most of the time they are not needing all the extra apps and widgets that are available on other platforms. They are easy to use for anyone, and I have found them easy to teach, even to novices when it comes to any type of website platforms. 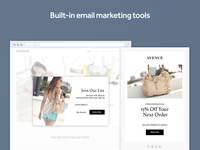 Weebly - great website builder for anyone who wants a website. Pros: I have used Weebly for some basic websites that I needed to get up very quickly and for minimal upfront cost. My first site using them was at least 7 years ago and I still use them occasionally when needed. Nice templates/themes and can quickly build a nice website layout and add content. With the Pro level of site plan, you get great options like SSL (included in hosting at no extra charge) and other advanced site features to make the site look high-end. Cons: The only con I have found is the cost of the Pro level (and Business level) is higher than comparable WordPress hosting. That said, the build time of a Weebly site is much quicker and easier to maintain, in my opinion... so it depends on how long the site will be hosted and then consider how often the site will be updated. Overall: Overall, Weebly is a great choice for a quick build of a nice website and anyone can do it. Weebly is... in my opinion a great example of where the "internet/web" is going... offering site design and site building/creation to anyone who wants it. The days of needing a "web designer" and waiting months for a new site are gone and there is a reason why there are few website companies around any more. Weebly has some limitations I suppose for very large companies who want a lot of customization... but other than that customer/client level... Weebly will work great for everyone else. I love Weebly... but it does have some cons. Pros: Fantastically easy to use. There is no Website builder that is better. Weebly shines when it comes to making website building and blog setup easy for their users. The staff is remarkable and responds fast to any issues, the tools provided all work well, and it's a quick way to have an online presence for someone that knows no coding. Cons: It can be expensive for what you get. A lot of features that most site builders have, Weebly doesn't. You can't remove the footer bar or use your own domain as an a la carte option, you have to pay for a starter/basic website, of which most features few people will actually use. People have requested the same features for years, and while the customer service reps are trying their hardest, Weebly developers keep leading people around in circles. If you're not a novice and can handle your own coding, Weebly shouldn't be your first or even third choice. Pros: This website building software allows customization based upon the needs or purpose of the Weebly. I primarily used this as informational between my children and their teachers. The teacher was able to upload important links to connect to tutoring sign ups pages or presentations from that day's class work. It provided calendars and contact page to bridge gaps between parents and children who were learning to increase responsibility and ownership of their school work. Cons: To get to homework assignments, a student will need to select the calendar, the assignment and wait for the calendar to upload in order to access the homework assignment instead of providing a link to direct a student to enter their work. It feels like it might be an additional step but it might be the most direct route based on the set up of the software. Pros: In our editorial line, we have had the opportunity to try different web development engines, looking for that option that will captivate us in such a way that it will become our software par excellence. In this instructive search we get Weebly, a fascinating and very functional software. Weebly offers an almost endless range of tools to enhance the image and the functions that a web page should have. Hanging photographs, videos, text, templates, hyperlinks, external addresses, themes, color lines, graphic design, among other options, make Weebly stand as one of the most complete web development software that the market has. Cons: Despite all these excellent benefits that I have outlined, sometimes the program is not completely complete, so you must hire a computer technician or a web developer to develop the most complex programming tasks. Of rest it is a software of high invoice, that appears like a great competitor in this hard industry of the design of `web pages. Pros: Weebly has made upkeep and development of our website very easy. Coming from a background that had never developed a website before, their templates and simplistic drag and drop builder made things intuitive and rather user friendly. And then, the fact that you can add apps to your site builder to improve your site beyond what Weebly offers, that allows your site to stand alone and not be another replica of what you already see. Lastly, Weebly does a good job of continuing to offer new and improved capabilities to keep your site up-to-date with technology. Cons: It is somewhat limited when you choose not to upgrade your account. And the HD Video player can seem a little lacking at times. Overall: Overall I am thankful for the choice to utilize Weebly for our website. The abilities far outweigh any negative experiences we've had with the product. Pros: Weebly is a basic website builder without too many extra features and for some of my clients, that's all they need. If you have very little web development experience, Weebly could be a good option for you. They have themes and pre-built templates to utilize so it does make creating a new website pretty easy. Plus, it integrates with Square now which is a plus to many of my clients who are just starting up their business and need a payment processor. Cons: The photo storage! My goodness, you upload a photo and you have to upload it again from your desktop instead of having it stored in a folder on your site. It's extremely annoying. Then of course, you can't customize your site as much as you can with other builders and you can't dig into many of the tools because Weebly is meant for novices (or so it seems). Plus we do get occasional glitches with some of the tools from time to time. Overall: All in all, Weebly is a fine tool to create your website on. However, I believe using Squarespace, Wordpress and other website builders is better. They have more tools, you have more flexibility and I've experienced fewer problems with other softwares. Pros: Weebly is the best website builder I've ever used. It's easy, intuitive, and the customer support is very responsive. You can reach them by chat and by phone, so if you have any problems they are accessible. They also have a ton of how-to guides to help you accomplish whatever you'd like. Cons: I have one little complaint about Weebly's website builder - they do not offer a strike-through feature. Let's say that you have a sales page or an online store and you want to demonstrate that a price was previously higher. Most of the time you do this by striking out the high price and presenting the lower price. This feature isn't available on Weebly. So if I had to change one thing about Weebly, it would be to add that feature. Overall: I built my website with Weebly. Pros: Super easy to use for someone who knows how they want a website to look but doesn't understand or want to learn coding. I love the drag and drop design feature for this software. I like that I can easily add HTML code for just about any widget that I want. Cons: I wish the software had more free integrations. It gets frustrating to try to add a widget or design element only to find out it will cost me monthly to add it. I have had a difficult time getting my website to be optimized for a phone screen. I wish it were a bit more seamless to design for both a web browser and a phone browser. Overall: I use this software for a locally based service company's website design and for two very different blogs. I use it to create landing pages for opt ins as well. Pros: I love how the process is so smooth. I was looking a while back for a site that could help me easily create a website for the past writing work I have done. I have tried a few other sites in the past, but this site has so many great options. I love how I am able to maneuver through the site very smoothly and pick the way I want my site to be set up. I like to be in charge of my creative process for my business. I like to be in control and still see the options they have on the website that can help me with my creative flow. I also like how I was able to set up video links to my pages and it wasn't confusing. I also like that there is an option to space out your images and text on the website editing area. There is also a newsletter form where other journalists or writers can contact me. I love the product button and the the social media icon button, so I can keep people in the loop with my writing. They can easily click and share my website. I don't like it how some sites don't have this option or only a few social media buttons. Love! Cons: I dislike that there are only a few free themes. Like I always say themes are so creative and can help you with the creative process. I love themes and would love to see more with different images on it. I know I can change the images on the website, but this would help so much. I also dislike that some of the images I search for aren't really related to the topic I am working on. I would love more images that dealt with writing or something similar. Overall: This is a great site! If someone is looking for a site that has many premium options and free options this is it. This site has loads of options you can add to your site. I love how I can make my site how I want to make it! I was looking for a site to add my t-shirts for my future business idea and this is a simple process. This is on my top list and I am glad I find it. This will help people who are looking to put products on the page they are working on. Simple and very unique! I had an issue at the beginning looking for a site that was easy to step up and not confusing when I try to put the products I want on there. I wanted something simple and this is helping me. Love Weebly for Site Building! It's easy to edit the site term to term or even week to week or day to day for my students. I can add pages, images, links, etc. in no time! The site is easy to navigate. I have had a subscription for over two years and I love it! Cons: I don't think there is anything that is 'negative' since any issues have been because of "user challenges" (meaning my own limitations!) I enjoy the creativity I can use when I edit my site and the students enjoy checking out the resources I share with them via Weebly. Overall: I use Weebly for my students and they enjoy checking out the resources I gather there. I was skeptical about the ease of use at the beginning, but I found out quickly that I can make big or small changes easily and it's not difficult. This is my 3rd year using Weebly for my website and the price is reasonable. Pros: I currently manage five different websites on Weebly. Sites are easy to set up, look good, and are optimized for both desktop and mobile computing experiences. They have a range of options from free sites for those just starting out, to high-end sites for those conducting a lot of e-commerce -- and some in-between options for the rest of us. Paid sites allow for a range of e-commerce options. There are a lot of help and training materials available, as well as a community where you can ask questions of other users and administrators. I also like being able to do business with a US-based company. Cons: I sometimes feel too restricted by the WYSIWYG features -- which make building a website easy for beginners, but can hamper those of us who want more flexibility. I'm getting better at using the more advanced coding features, however. Different templates in the system behave differently, so that some features (like an "anchor" workaround) may work on one site but not another. Overall: The ability to create good-looking, functional websites at a reasonable price. Personal website for free? Yes please! Pros: First and foremost, it is amazingly incredible how easy Weebly is to use. So easy, that when I connect my students, they are also able to use it! The moment I discovered I could create accounts for my students I was overjoyed, as this makes their work more interesting to complete. It offers a few free resources that you can include in your website, and has even brought me business! Cons: My least favorite, and what I feel is lacking, feature is the limited number of accounts I can create for students. I teach a large number, and so it becomes a game of "Who is interested in doing this?" Because of this, I can't set up their accounts ahead of time. For the free version, though, I get it-it's just disappointing. Overall: This software is great for a website creating beginner or a teacher that simply prefers a more customizable approach than Google Classroom (I am the later of the two). Pros: Everything. This is usually one of the most used website builders I recommend and students use for assignments that require a some form of website or blog. There are templates already curated for you by Weebly, taking a lot of the guesswork out for students. And regardless of which template you choose, there is a lot of editing that you are capable of doing to the site to make it yours. The drag and drop editor really make sit easy, especially for students who are often on a time crunch, and can't take forever to learn HOW to use the tool, but rather, what to put on it. So Weebly really help them create professional looking websites quickly. Cons: One of the biggest issues I have come across is if you make an error, going back to undo it is a hassle. And if you save the change to a published site, to go back is difficult if at all possible. I wish there was a simpler way to do this or add this feature/ability. Overall: Overall, one of my top 2 website building platforms and recommendations to students and schools. I have used Weebly a lot and everything I create comes out looking very professional. Absolutely beautiful website creator with tons of customization. Pros: Weebly starts you out with a template, which you're able to customize completely. You can move and change anything you'd like. The templates are beautiful and extremely professional looking, and customizing them is extremely easy and intuitive. If you can use a mouse and a keyboard, you can use Weebly. It's all point & click, drag & drop, and the rest is just typing or uploading media. The paid versions are simple and affordable, and everything is laid out for you to easily review to find the one that best suits your needs. Cons: I wish I could search for templates or themes, rather than scrolling through the options. They do keep the options relatively limited, so it's not as though it's extremely time consuming, but it'd be nice to speed up the process by searching for something specific. I'd have also loved to see a form you can fill out to customize the template a bit, rather than having to customize the entire thing; something that asks for the name, a brief description, stuff like that, and then goes in and fills in that information for you. That's not a major criticism, as it's super easy to customize, just would've made the process a bit more user friendly, I think. Overall: It's very easy to use, extremely affordable, and super intuitive. Everything is very clean and professional, and it even has an option to have your site hosted for free (with their logo and such on the page and in the URL, as is the standard for free sites). Pros: I love using this software tool. I have been using the "free" version for 2 years now for my tutoring company. I know many people that subscribed to the more advanced version for their company. Once my company grows, I plan to do the same. For now though, it offers more than enough for my small business. I am able to post several different pages and add a variety of free apps. For instance, I have a contact form that allows customers to fill out their name, number, and a comment and it goes directly to my email. With a paid subscription, you can add more advance tools such as calendars and schedules. I highly recommend. Cons: The only thing I don't like right now is not being able to post my schedule and have students sign up for tutoring. However, this is an option for a monthly fee. Pros: Fairly easy to use web interface, doesn't take much to make great looking websites. Drag and drop interface. Can have multiple editors for a site and easily control their access by page. Site never seems to go down. Cons: I wish there was a better way to handle photo galleries. Adding custom HTML is not very easily accomplished. Non-education pricing is a bit expensive if you want to use your own domain name. Page-level backups would be nice along with an easy 'undo' button if you mess something up. Overall: I use Weebly for a school website as well as one of my personal websites. Once you learn how Weebly wants you to do things, you can create new pages full of content within minutes. Pros: The drag and drop builder is very easy to use. You can create just about any look you want using this system. It can take payments, you can set up a store front, you can have an RSS feed for your blog, etc. It is a very easy system to learn, to manage and keep updated. Cons: Sometimes, we want to have a certain look for a single web-page. This system is limited as to what you can set up in that regard. If you want to change the overall look of the website to a "Scrolling" home page (which is becoming popular now), so far, I have not figured out how to do that. It does take some experimenting on your part to see what features work best for you. Weebly has come a long way since I last started looking at it. Would recommend a second look. Pros: If you have seen this software before and didn't like it, I would absolutely recommend giving it a second go/visit. It has come a long way from its somewhat clunky beginnings (in my opinon). The pro's of Weebly are the variety of tools and templates available to make your website look like it's truly custom made from a much more high end piece of software. Dynamic design elements and custom fonts are just another bonus! Overall: A great product. I would recommend starting with a list of what you need from software, then what you would like then a nice to have list. See how many ticks this software gets. Compare it to at least two pieces of other software of the same nature before making your final decision. This is what I recommend for any piece of software. Also, check out their own forms of customer support, and social media sites to see what other customers have had to say about the software. Weebly is an excellent platform, quite warm and friendly to design your website. -The hosting of a web domain which is free, allows you to easily nourish your online store or website. -The customer service is quite competent. Cons: I do not have any type of complaint associated with this software. Using it has been a great solution for the work I do in graphic design. Weebly has been an excellent platform for my work. Overall: Weebly is an essential software for those people who have an interest in building a website or online store in a simple way and with amazing results. If your interests rest on these ideas, I recommend that you use this software. Seriously the best software out there! Pros: This software allows us to easily create a website just by drag and dropping anything to the workspace. This includes the common, text, images, videos but also new layouts. I don't think other website creation softwares are this easy. Another big thing I like is that if we accidentally close the browser or the tab, this editor keeps a draft of what we did last. Which is a huge thing for me. Cons: The only problem I'm having with this software is that sometimes when I add two or more HTML codes to the website using the drag and drop builder, it gets stucked. But it becomes ok when we reload the page. Overall: I've now got to see the page view count and the site view count per month. It shows a whole page analysis which other software does not. This is the greatest among all other website creation software. Cons: Little flexibility because it does not allow modifications to our template to 100%, the impossibility of installing plugins and things of that style may not be annoying in a principle, but in passing the months it begins to weigh this aspect. and although it is possible to download copies of your website, it must be said that it is a manual process and it is not possible to restore the site with any of them. and as soon as the telephone support is only available in English. Excellent application, Free to use and registration only requires an email address. Pros: It has an environment, very intuitive, is available to any user without experience. Thanks to the advanced technology it uses, it is possible to incorporate photos, videos, maps and all kinds of elements, just by dragging and dropping. Once created, the site can be downloaded to the computer in compressed format. An important option to preserve the contents since, as Weebly warns, the use of the service implies the acceptance to participate and experiment with the BETA version of the test. This tool has the peculiarity of incorporating Ajax at 100%, which gives it a surprising dynamism. According to its developers, this application made in Fedora is currently compatible with Firefox 1.5 / 2.0 and Opera 9 in Windows, Mac and Linux and with Internet Explorer 5.5 + / 7.0 in Windows. The Weebly editor is based on a wide variety of elements that, through the simple drag & drop procedure, can be incorporated into the site by the most inexperienced user. Cons: Limited functions: The suppliers of free web pages have their own system or program of creation of pages destined to the elaboration of elementary web sites and if it is required greater services obligatorily you must pay a monthly payment. 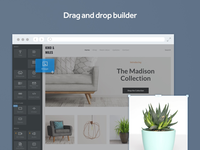 Weebly makes setting up your own website fast and easy! Pros: Ease of use. They have wonderful template that you can use and they update them on a regular basis. They send email for important issues but they don't keep sending you emails all of the time. You can sign in using your email or Facebook accounts. The dashboard is easy to use and understand. Once you set up an account your price does not increase. Cons: Sometimes it changes the size of the text for no reason. I publish often while setting up new information just in case there is a problem. Overall: It gives me a very professional looking website that is easy to maintain. I love it! Pros: Weebly is incredibly easy to use and customize. If you pick one of their pre-designed templates its almost impossible to break your website or make it look unprofessional. Cons: All objects 'snap' to one another making it incredibly difficult to make any changes beyond the very basic. Images can't overlap or have a defined pixel size. More interesting features are also locked behind paid 'widgets' that are sometimes not updated or function poorly. Even a simple feature like a 'scroll to top' button requires an extra widget purchase even though its only a couple lines of code. Pros: Weebly is perhaps the simplest website/blog builder out there. It is so neat, so clear, and really quite impressive how much thought the platform has built into it. Everything seems like it was perfectly crafted for brand new users. I actually might suggest it as a teaching tool for web design principles, since everything is so systematically laid out. The effort put into simplifying everything is pretty incredible. The elements of a web design are all there, just distilled down into the most basic forms. Feature-wise, Weebly is flexible enough for any variety of website or content, and the theme flexibility is a nice touch for a free platform. Even the paid plans are comparably priced. It might even be said that Weebly's web store is more capable than certain competitors, which is astounding considering how simple the platform is overall. In summation, Weebly is fancy, but in a unique way. It caters to user learning and understanding, in a way that few other platforms seem to acheive. I highly recommend Weebly for beginners. Cons: Obviously, the simplicity of Weebly comes with limitations. It's not quite as visually flexible as certain other platforms, which means that making things look just the way you want is more difficult at times. Also, one particular sticking point is the necessity to put Weebly apps for even the simplest functions. Yes, it's part of the learning process (for new users), but it does make lots of design tasks seem longer. 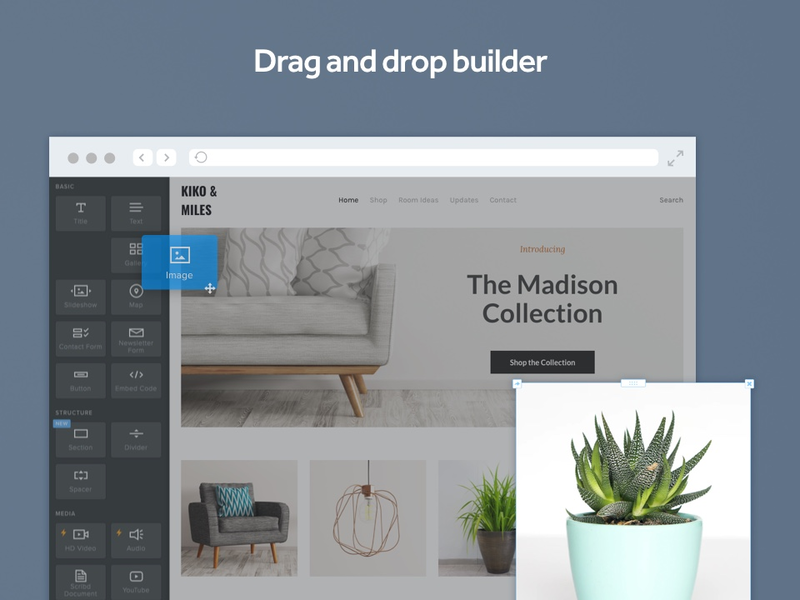 Overall: Weebly is a simple, easy, cheap site builder that anyone could pick up and use. This platform for creating web pages seems so easy and complete. Pros: The design form of web pages with drag-and-drop design elements seems very easy to use. It has a large number of templates and predefined elements to insert in our designs. Cons: It allows to create web pages by people without knowledge in programming of web sites, therefore only elements of predefined designs can be used. If more specifications are needed in a design then it would be necessary to use another tool where the design can be programmed in a particular way. Overall: I found it a fabulous tool to design web pages, it is very complete, I recommend it. Pros: So simple and easy to use - lots of drag and drop features that make it easy to customize the look and feel of your website. Cons: Sometimes I want a bit more customization and it's a bit of a struggle to make it happen - e.g. two columns of text with a line between them. Price is also a bit steep for things like customized email address to go with a custom domain. Overall: A really quick way to get a website up and running - easy to add a custom domain. Debated using WordPress but went with Weebly instead - like the fact that we didn't need a separate hosting service. I'm using Weebly for more than five years. Simple drag and drop functions bring ease of use. No need for a web developer. Built-in app store do a great job for different use purposes. Cons: The business plan doesn't support some payment options in my country, Turkey. For that reason, I cannot use its e-commerce module. Not all the themes support Turkish character fonts. Overall: I've started my online business with the help of Weebly. Even though i can't use its e-commerce module it provides me to start my job. Pros: I love WEEBLY hands down! I have several of my comapny websites on the Weebly platform. I have also started antoher small business, designing websites for small business owner at affordable prices , thanks to the very very low hosting prices Weebly offers. This allows me not only to use a platform my clients can use to update their own websites, but also make a profit on the website creation process! Thank you weebly! Cons: I have NEVER had one complain with this software! I love Weebly! Pros: Initially I gravitated to Weebly because I was tired of having to pay someone to build and update my content specific website. I needed the functionality of updating my presentation schedule quickly and changing content easily. Weebly was easy to use and I created my own website and one for a non-profit organization, each within about an hour or two. The software is easy to update and allows for the insertion of images and video to expand interest for the viewer. Another plus is the efficient and friendly customer service. I have called several times and been served quickly and efficiently by a knowledgeable and friendly staff. Cons: When accessing Weebly through a second party hosting service the templates are much less diverse and attractive. I sometimes find the software cumbersome to use though text function is easy. Through Weebly itself, the designs are more attractive and user friendly. Overall: I have been very pleased with the customer service and ease with which I could get my website up and functioning. I also like that I can try things out without having to publish immediately. I do not use the e-commerce components so I cannot address that but for getting a website up when you need it, Weebly is a real option. Pros: I like the editing features. It is very easy to navigate the site. Adding and titling a page is so simple. You can even save a page without publishing it, very helpful. Cons: This software is free and fabulous. I have no complaints, it works well and offers features that help promote our company. Overall: Free marketing and great online visibility. I love the button feature. If someone wants to call or send an email, they only have to click the "call now" or "email" button on the page. We have even set-up our billing so patients can "pay now." Very convenient!!! Pros: I love how easy Weebly is to use! My organization is easily able to onboard those who aren't super tech-saavy as no knowledge of coding is required and the features are fairly straightforward. There customer support is very responsive and they have a huge forum with many questions already answered. Cons: You are pretty locked into Weebly's pre-set formatting. There are work arounds with spacing, but I've had times where I wasn't able to get text or an item exactly where I wanted it on a page (whereas with coding you have complete control of this). I've also had a couple issue with freezing before I was able to save - which was a huge bummer. There are some glitches and lags, such as when you try to change font color by hex code, oftentimes you have to click a random color and THEN type in the text code- otherwise your changes will not show up. All doable things to cope with as long as you know, but irksome at times. Many of their apps require additional purchases. Overall: Easy way to spread word about events! Pros: What I like most about this software is that is is extremely user friendly. I had no experience designing my own website and with this software I now have a very professional looking website that my friends and family are blown away that I created myself. They all thought I had used a professional web designer!!!! Whenever I had questions I called customer support and they were extremely helpful & knowledgeable. It is also very easy to change the information on the pages or add a new tab. You can change this website daily if you want to for no additional charge. Cons: There really isn't anything I don't like about this software. It's the 1st software I used to design my website and I will never use another web building website because this product is so outstanding!! Weebly... a wonderful and creative tool for website design. Pros: What I loved most about Weebly, is the ability to completely customize your website to exactly what you want. You don't have to settle for a pre-desgined layout that's similar to everyone else. You can make it your own with: custom fonts, creative animations, background videos, as well as an awesome image editor tool. Also, if you're in need of some inspiration, they have themes that you can choose from and then tweak to meet your needs. Cons: What I liked the least about Weebly is the fact that the function of some of the features are not user friendly and take some effort to figure out, which may deter some users who aren't as knowledgable about website building software. Overall: Weebly has been a great tool for by business. I have been able to create a fully functioning and creative website for my company, as well as help clients achieve their website needs. Valuable tool in my classroom! Pros: I used Weebly for 3 years to make a website for my third grade classroom. It was easy to set up, update, and communicate information effectively to my students and their parents. The version I used was free so was great for my small budget! Cons: The content is limited on the free version, but you get what you pay for! Sometimes when you drag and rearrange pictures or text they can get jumbled up. Overall: This software was the perfect vehicle to deliver information to my students and their parents on a daily basis. Pros: I've had a Weebly website for several years that I use for a personal blog and home business. I have tried a few other website builders, but none of them are comparible in the areas of ease of use and overall design. My employer was struggling with an expensive, hard to use website service. She was amazed when I used Weebly quickly create her a high end, uncomplicated website. Cons: I think that the monitization (ads) should be more transparent and easier to set up. Pros: I like that you can easily edit the HTML and CSS. Each website also gets an mobile version, which looks pretty good. There are plenty of fields for adding SEO keywords, in website settings and for each individual page. You can even add ALT text to photos. The drag and drop structure is very easy to use. Editing is a breeze. The new change to be able to edit the background is fantastic. Cons: I don't like the package structures--I would like if the forms were more easier to edit, and that they would be unlimited (or more free) in the free package. The photo editor since the recent update/changes is unwieldy and hard to use--I have a hard time getting it to get the picture the size I need. Banners can be tricky to upload. I would like to be able to edit the mobile version of the website without it affecting the desktop version. Pros: Weekly is an easy way to make your own website that allows you to quickly edit and add as you want or need. Weekly allows you to pick out themes and ideas already set up but you can also create your own ideas. Cons: Sometimes to get the page exactly how you want it to look can be a little difficult as well as getting some pages to link up and direct the website how you want it can be difficult. Overall: Weekly is fun and easy to use to make a website that you need quick but looks professional.